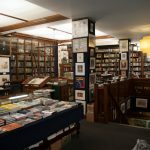 Sotheran’s has been selling fine and rare books and prints since 1761 and as such are the longest established antiquarian book shop in the world. Our stock ranges from C16 Bibles to first edition James Bond novels, illustrated books, travel accounts, natural history and architecture. The Print Department offers traditional prints such as Piranesi, David Roberts and John Gould as well as more contemporary travel posters, Japanese prints and cartoons. Sotheran’s is an open shop where you are welcome to browse. We aim to offer a range of products to suit all tastes and all budgets. Many of our books and prints are sold as presents and we are happy to create bespoke catalogues based on your specific wants. We are also able to offer Wedding List facilities. Printed and digital catalogues are available on request.